Online video has been exploding in popularity for the past decade (in fact, 79 percent of all the traffic online is related to video) and there is one name that has always been synonymous with online video – YouTube. While YouTube is still a major traffic destination, there is a relatively new (although familiar) competitor on the scene that is slated to give YouTube a run for its money. That competitor is Facebook, and in a short period of time, they have been gaining some serious traction in the online video and content marketing space and industry experts have been taking notice. On FB, how can it not be a success – with just about every survey naming Facebook as one of the leading resources for small business marketing, and with just about every analysis pointing towards the explosion of video online (Netflix and YouTube consume 60% of the internet now) the merging of FB and video will be the future of small business marketing. 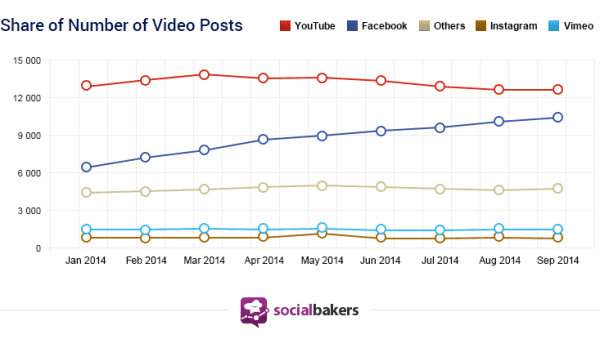 Beyond the advantages presented by Facebook’s massive reach, Facebook video has a number of integrated advantages. First of all, since Facebook controls the algorithms that determine which content is presented to its users, they favor their own videos when it comes to deciding what makes it into user’s news feeds. (The way they do this is actually pretty sneaky. Facebook says it factors the amount of time people spend watching videos and how many views they have into their algorithm, but the only videos in which they know this information are their own). In addition, once that content is shown to users, Facebook gives it further preferential treatment by autoplaying their videos (this is not done for YouTube videos). However, the explicit advantages Facebook affords itself are not the only advantages they have. Underneath these surface features lies a much more implicit edge that has to do with the way people have come to use the social network. In order to learn how to best leverage Facebook video and to understand how it fits in to the overall online video landscape it is necessary to take a deeper look into the underlying nature of how content is found and spread. Let’s dive in. Search used to dominate the way we discovered content. Then, roughly halfway through last decade a key shift occurred. Social networks rose in popularity and presented users an entirely new way to find information online. Suddenly, the obscure, odd and absurd bits of the web could find an audience if that content could gain social momentum. Sure, you could go search YouTube, but you would not always know what to look for. Once social media entered the equation, you no longer had to know what to search for; the organic social dynamic of sharing allowed the best content to float to the top. Thus, the viral video was born. YouTube is often thought of as the reason that viral videos happened, but it was only one half of the equation. The other (very necessary) component of the equation was the social support structure of sites like Facebook and Twitter. YouTube might have made uploading videos easy, but when it came to actually helping you find things you might enjoy it was often inadequate, other than the videos they chose to feature on their homepage. It was the massive social engines like Facebook and the organic process of sharing and social momentum that enabled videos to burst out of obscurity and onto the radar of a huge audience. As Facebook pushes further into online video, their proximity and control over social reach is going to constitute a huge advantage. 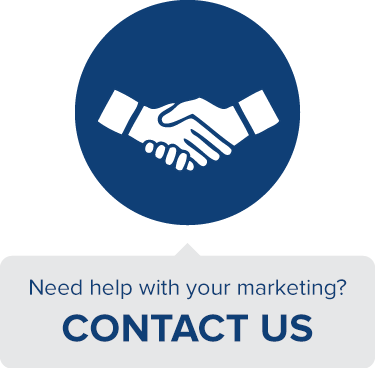 However, this advantage is much stronger when it comes to certain types of online video catered to a specific set of individuals and needs. Let’s take a look at the different kinds of online video to shed more light on this distinction. In a recent post I presented what I called the social longevity spectrum. The basic idea is that all websites are situated along a scale measuring whether they favor recency or permanence with their content. Online video fits a slightly different spectrum. 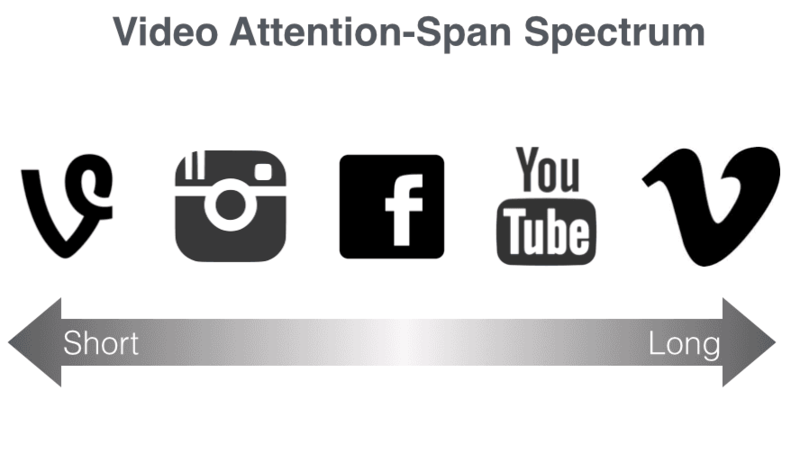 Recency vs. permanence in this medium is really a measurement of a video’s ability to hold attention over time. For example, a home video of someone falling off a treadmill might gain popularity suddenly if it gets shared on social media, but since social is the only way people find it, once it loses that lift it can vanish just as quickly as it came. However, content on the other end of the spectrum is much more evergreen. A really great recipe video or Photoshop tutorial can garner attention without nearly as much reliance on social lift. Armed with this distinction, it’s fairly clear where Facebook video’s true advantages lie and where YouTube still has an edge. Facebook video will really succeed with content that relies on social lift, whereas YouTube will still be the source for video content with staying power. In fact, it seems that YouTube already understands where it has a leg up. They have been investing heavily in creating a strong community of creators and have been relentlessly advertising this quality evergreen content. Facebook, on the other hand, has clearly been focusing on videos that are much more ephemeral. Everything from the auto-play feature to the fact that it is almost impossible to find a video once it’s out of your news feed points to a focus on videos with short attention life-spans and that rely heavily on social lift. After all of this exposition about the state of online video, you might be wondering what any of this has to do with marketing online. The truth is though, that having a fundamental understanding of the differences between the two platforms will not only allow you to decide which one is most appropriate for your brand, but it also unlocks the potential to use the two platforms in conjunction with each other. Facebook and YouTube might be battling it out for online video dominance, but just because they’re fighting with each other doesn’t mean that the platforms themselves can’t work wonderfully together. In fact, it’s just the opposite. For brands who are generating online video content, this increased competition and segmenting of the online video marketing is a great thing. In the following sections I’ll be taking a look at content creators that are leveraging the emerging online video landscape to make the most of their content and are employing different strategies to take advantage of the dynamic between Facebook video and YouTube. The name Michelle Phan might not mean much to you, but to a certain segment of the population she is incredibly important. Michelle got her start doing online make-up tutorials and has quickly evolved into a YouTube icon and now a business mogul. YouTube’s generous partner program has allowed Michelle to advance her operation and her and her team have developed a highly sophisticated and innovative social strategy. As of today she has 7.4 million subscribers on YouTube, which has remained the center of her online brand, although Phan also has a sizable 3.8 million fans following her on her Facebook page as well. To leverage that following, she does something very clever with Facebook video that speaks to her understanding of the nuances and synergies of both platforms. Whenever she launches a new video on her YouTube page, she announces it to her fans with a short “trailer” on Facebook. This video helps to leverage the overall social boost that Facebook gives to their videos in order to drive traffic to her core content. Even more interesting is what happens when the video is done playing. A screen is displayed that gives the option to watch again or click through to YouTube. Anyone can add a call to action at the end of their video on Facebook, it just depends on what you’re trying to achieve with your audience. Michelle Phan and her team understand this interplay and leverage both platforms to promote her content. They get that YouTube is the ideal home for her more in-depth content (not to mention where her videos are matched with advertising to drive profits for her business) and that creating a short ephemeral video for Facebook can help boost that content by leveraging the social lift of Facebook video. Although Facebook and YouTube are each moving in different directions, the types of content they are focusing on does overlap. In the case of Michelle Phan her core content fell far into YouTube’s territory and she could then create a different piece of content meant to suit Facebook and promote her central videos more effectively. 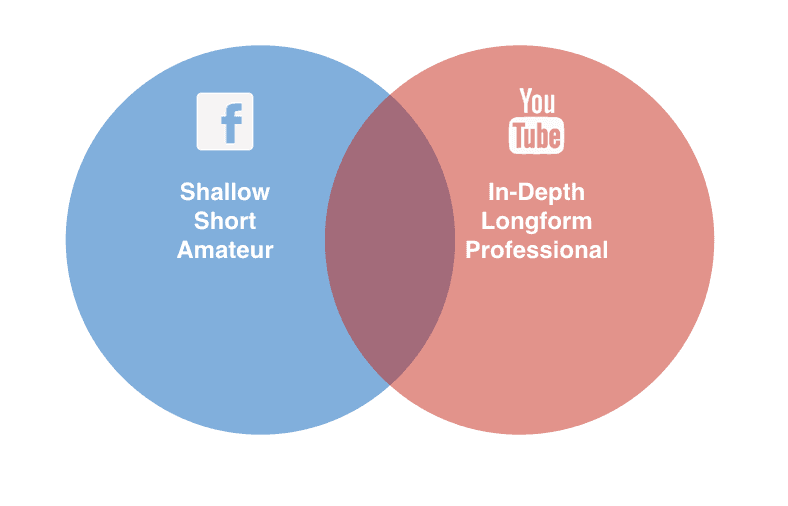 What happens though when your content falls somewhere in the middle between Facebook and YouTube? Where do you decide to focus your efforts? If you pay attention to BuzzFeed (who certainly know what they’re doing when using social media) the answer is you simply put your content on both platforms. 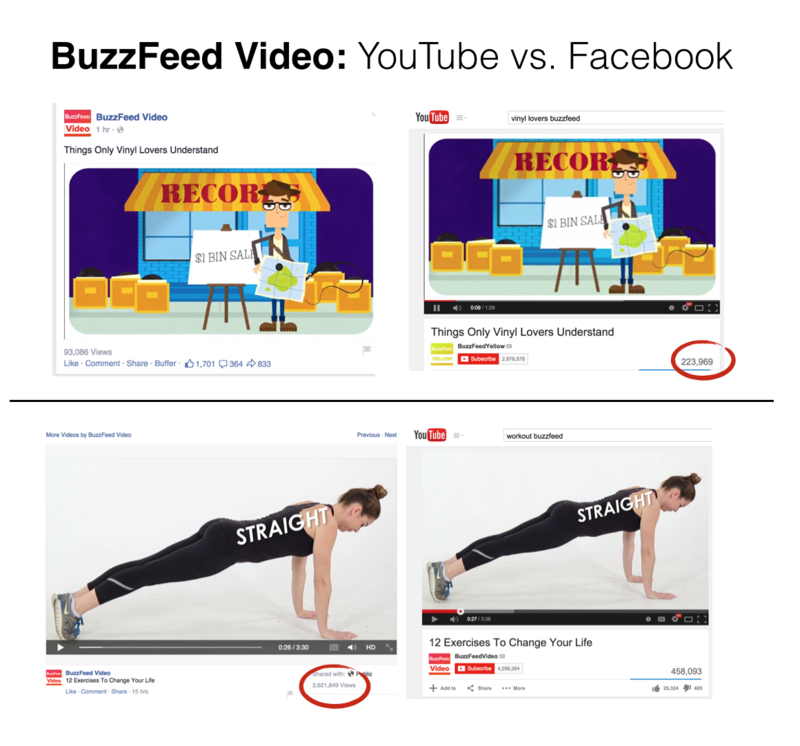 BuzzFeed simply sees more value in defying best practices by releasing their videos on both platforms because it matters more that the most amount of people possible see their videos, instead of worrying about spreading the overall views between the same video living on different channels. The power of recommendations and brand recognition this earns them far outweighs the indicator of achieving the maximum possible views on a video living on one channel. Looking through BuzzFeeds catalogue of videos, it also becomes clear that their users don’t have a consistent preference. Some videos blow up on Facebook and putter out on YouTube, while some vanish in users news feeds but then get found later via YouTube’s search. BuzzFeed understands that each platform has their own mode of discovery and they’re happy to cannibalize some views on their videos to simply get their content in front of as many people as possible on both channels by any means necessary. Facebook and YouTube may be battling it out for their share of exactly this type of content, but BuzzFeed is completely okay with taking advantage of both. In fact, the competition probably helps them carry out this strategy. These two approaches are both valid and depend heavily on the type of video content your brand is generating. 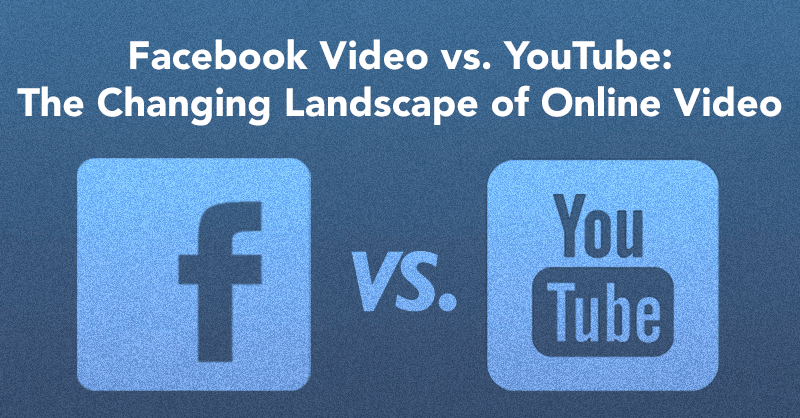 Although Facebook video and YouTube seem to be at odds with each other, the reality is a lot more subtle and complex. By gaining a real understanding of the emerging landscape of online video and where your content fits in, you can then start to build out a plan that makes the most of all your available options to better understand what is right for your business. All of these changes are brand new, meaning that they are just waiting to be taken advantage of in innovative and exciting ways before the market gets too crowded. Using this post as a guide, you can get a head-start on the competition and start leveraging these complimentary video platforms to help make your social media a success. What has been your experience with these video platforms? Do you think they can work together, or are they fundamentally at odds? Let me know in the comments below; and as always, thanks for reading!